The City of Aberdeen currently maintains a significant amount of spatially-referenced data that is vital to its operations and infrastructure management. Infrastructure for which the City is responsible includes roads, bridges, water mains, sanitary and storm sewers, traffic signals, street lights, paths, and signage. Data existed in the form of paper documents, digital spreadsheets, databases, and CADD maps. Recognizing the importance and benefits of enhancing their infrastructure management program, the City of Aberdeen retained the services of AE2S to complete a Geographical Information System (GIS) Needs Assessment. 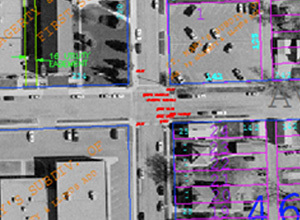 Based on the results of the GIS Needs Assessment, the City decided to move forward with the creation of a GIS so that the City could consolidate all pertinent data into one organized and useful system. One of the first steps of this process was meeting with City staff to learn what their expectations and goals for the GIS were, as well as to inventory what data was available for incorporation into the GIS. 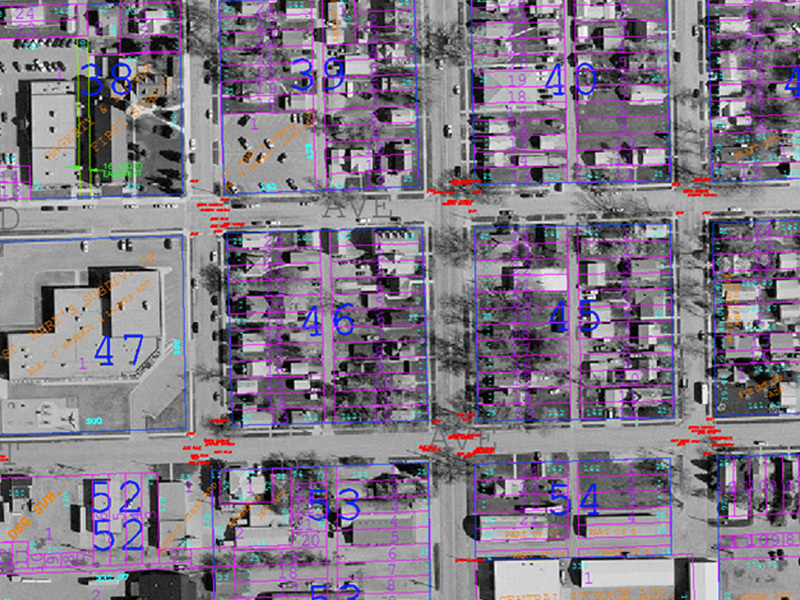 It was decided that plat, parcel, and utility data should be reconstructed as one city-wide map utilizing GPS points, existing CADD files, and record drawings in order to ensure maximum reliability of the new GIS. Based on recommendations from AE2S, a phased approach to this project was taken. The initial phase focused on establishing survey control and base mapping. The second phase included coordination with City and County personnel to obtain plats, current City data, reconstructing the plat mapping, and providing staff training. Subsequent phases will include parcel mapping, utility mapping, and mobile applications. The City is now on its way to realizing the benefits of implementing a GIS. The integration of geographic data with data from engineering and operations, accounting, and other related records will eliminate redundant data and the effort and expense associated with maintaining redundant records. Through implementation of the GIS, the City is in an excellent position to take advantage of GIS as a tool to maximize its personnel, equipment, and information resources.